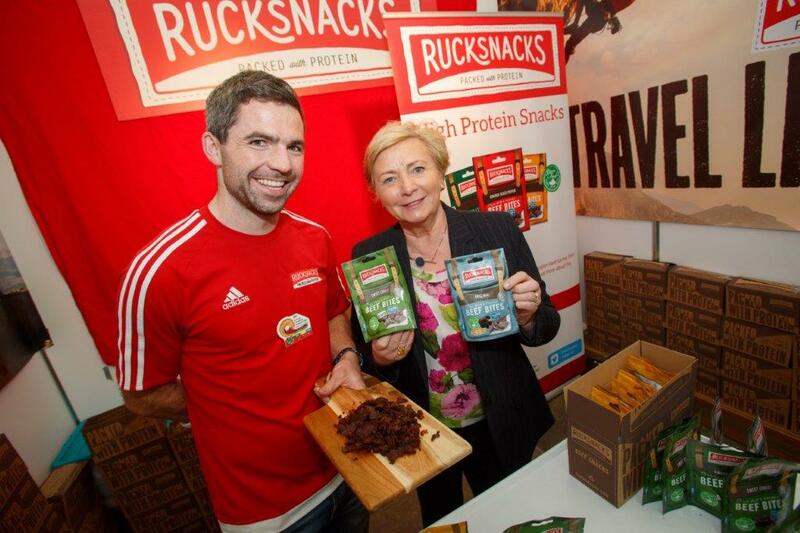 While officially opening the doors to the ‘Local Enterprise Village’ at the National Ploughing Championships in Tullamore this week, An Tánaiste met Colm Connolly of Rucksnacks in Monaghan, which manufacture Irish beef snacks. 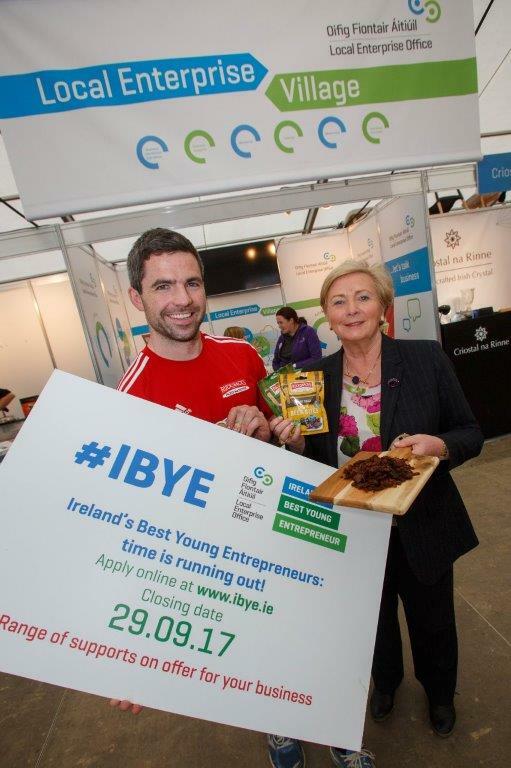 Colm won the county category in the 2016 Ireland’s Best Young Entrepreneur (IBYE) competition, and received IBYE investment funding from Local Enterprise Office Monaghan. Connolly spoke with An Tánaiste at the National Ploughing Championships about the impact that winning investment funding through IBYE has had on his business saying: “Thanks to the IBYE competition, we were able to invest in a new production facility in County Monaghan, hire new staff and develop new flavours in the range. 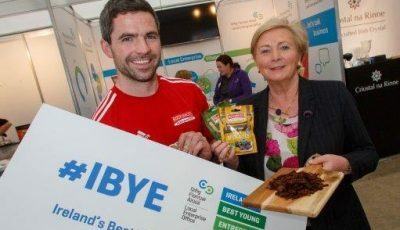 IBYE was a brilliant help, and I would strongly encourage any entrepreneur with either an established business or a good idea to enter this year’s IBYE competition before the deadline of September 29th”. An Tánaiste was joined at the Local Enterprise Village by Minister of State for Employment and Small Business, Pat Breen T.D. and Minister of State for Training, Skills, Innovation, Research and Development, John Halligan T.D. The ‘Local Enterprise Village,’ designed and built by the Local Enterprise Offices, is open until September 21st at the National Ploughing Championships in Tullamore, Co. Offaly (www.localenterprise.ie).